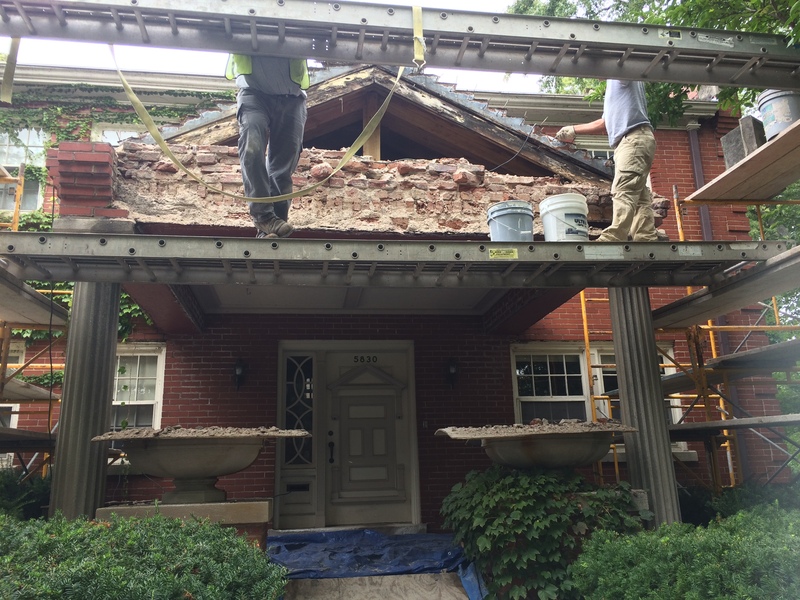 The brick masonry of the porch was suffering the effects of moisture ingress, unsuitable mortar, and deferred maintenance. Extensive white efflorescence (crystallized mineral salts), failing mortar, heavily corroded lintels, and shifted bricks pointed to long- standing moisture issues. 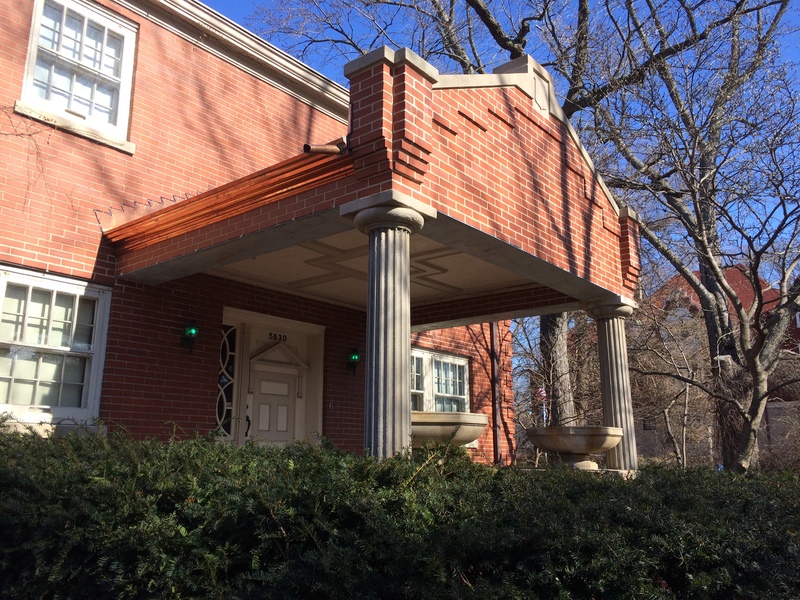 We have rebuilt 100% of the porch above the level of the column capitals. The design and construction of the area have been documented and replicated exactly as they existed. The steel lintels have been replaced due to their high corrosion. We have also installed galvanized lintels in their place for longevity. The carved limestone capitals of the porch columns have been restored with a combination of patching and replacement. The capital to the East had suffered relatively minor damage and has been remodeled using specially-formulated restoration material. The damage to the West capital was more extensive and affected the abacus and echinus (top two sections) of the capital. The upper section (abacus) has been replaced with matching limestone, and the lower section has been repaired with restoration material.